IPRO Concepts is comprised of Christian, patriotic centrists formed in an unorthodox strategic think-tank. These posts are musings and are fluid and sometimes in process and in edited as the team works in a purely solutions based scientific methodology. We continue to quietly solve the vast majority of America’s defense and social problems that we identify or are presented to us. We work in an expeditious manner at minimal cost. Our current seismic theory of elliptical triggers of core generated tectonic stress is gaining acceptance rapidly. It is accurate though likely to be unpopular as we believe all research funded by the tax payer should have objectives and timelines. These objectives should benefit the national interest. IPRO Concepts operates with an enthusiastic combination of common sense ignited by fertile imaginations. Minds that believe there is always a way. We seek paradigm changing ideas, harvesting them from wherever they manifest, as long as they can significantly improve our country and the safety and effectiveness of our citizens or War fighters now or in the future. Our team thrives on the most difficult of challenges, we are proud to have achieved the scientific range needed to solve conundrums resistant to other more widely branded teams and groups with herd analysts. 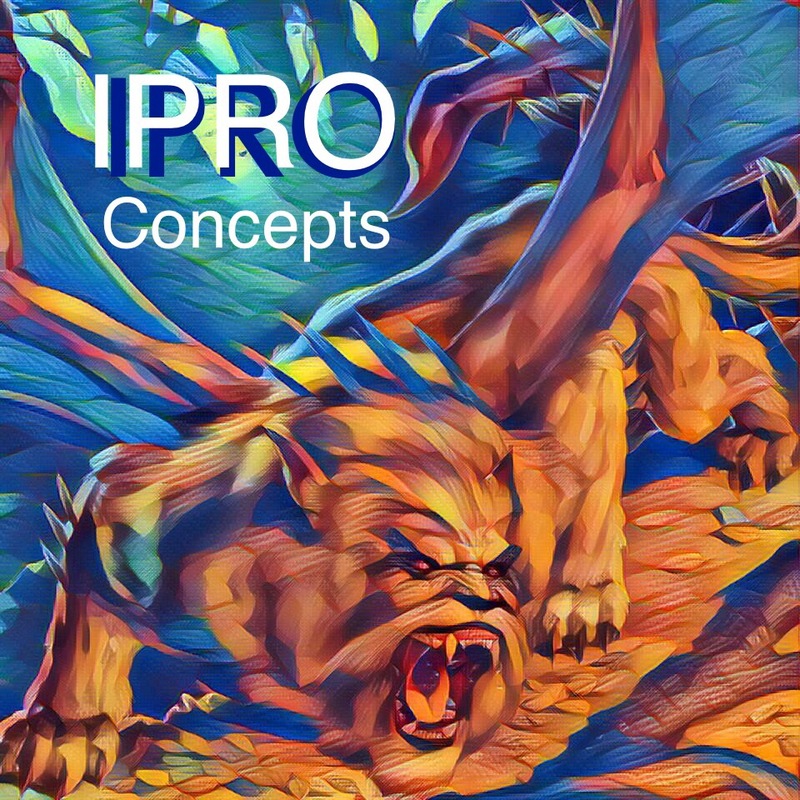 IPRO Concepts is a dedicated, if eclectic group of individuals; Quite frankly, we are an aberration, one that should be fruitful optimized for needs of America. Team members are experts in a broad spectrum of defense areas, including but not limited to military history, non newtonian munitions chemistry, ballistics, X-ray diffraction regression, psychology, physics, IT, pharmacology, and explosives. As our scale of operations continue to grow we can also begin to implement large-scale social benefit solutions like our seismic prediction theory. All of IPRO Concepts‘ team hold steadfastly to patriotic and Christian principles; we visualize ending of warfare by His science & His strength and alleviating peoples’ suffering in new ways . It may take generations for some of IPRO’s concepts to make a sufficient difference in a complacent world. Fortunately, our commitment to America is the one area we do not have a time line. We offer our strategic partners a significant quantity of viable concepts. This fast-paced stream of innovative solutions allows for optimal DoD selectivity. There are two tasks presented in any defense equation: Solving the presented problem, then the more difficult challenging of encouraging others in positions of empowerment to implement the needed or superior solution. Pictured by way of example is the BCRS-1 for the M-4 5.56mm. Know as the Battle Claw. It is a compensator, bayonet, rifle rest, and rifle stand in one system. Allows a Warfighter to have fully automatic fire accuracy and superior CQB. As the Royal Marines proved in 2006, a regiment that has expended all its bullets can still take the day with bayonets. Had the had battle claws on their rifles it would have been a speedier positive outcome. Since IPRO Concepts opposes greed and discourages wasting resources, we avoid creating conflicts of interest. We prefer not to use lobbyists. Nor do we actively seek business partners (though sometimes they seek us; choosing instead the license approach to our intellectual property. This way America and the DoD’s interests are shown to be our priority. More importantly the American tax payer gives the American Warfighter the best equipment and weaponry for the least expense. IPRO Concepts‘ business practices are selective, each innovative concept is only shared with one specific entity at a time. Its’ leader(s) must possess unflinching ethics and guenine patriotism. These must be proven entity’s staffed by to cost conscious people of character. The type of individuals that reliably define the core values of the ethical defense manufacturer. IPRO is seeking only the most elegant solutions. Time is like love a valuable commodity. We trust in our strategic partners completely but we maintain strict guidelines for long compliance without our presence. They need to be patriots with a strong moral compass when they find themselves on untrodden ground. We will never invest in an affiliated manufacturer. A total division of each entities’ financial structures and interests must always exist. There potential for a revolutionary suite of lighter small arms ammunition; one that actually gains kinetic energy transfer is a focus. A less expensive lighter round with more punch and less environmental toxicity when striking its’ target. This is an new approach that is not yet accepted by mainstream armament manufacturers. By significantly reducing the weight of each ballista, much more ammunition can be transported. The U.S Army and USMC gave the polycasing type cartridges an honest effort. In comparison, our lighter, enhanced diversified ballista Payload selection can bring unprecedented devastation to the battlefield along with significantly reduced weight. A lighter ballista whose fluid dynamic, and compression resistant power increases are so formidable that nobody could have envisioned this solution until now. This is the first major evolution of the bullet in 138 years. The likely partner is NAMMO after we allowed ARDEC first right of refusal. 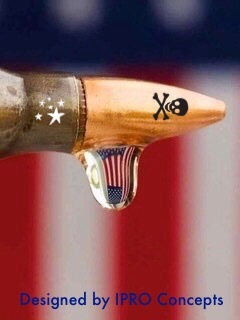 That being said this bullet may have to wait until imagination intersects with physics at the pentagon. The American war fighter could be given complete ballistic superiority. As our technology has tested far beyond any requirements. We submitted an Unsolicited Proposal with ARDEC on this Munition. It has been accepted as file 2017-04. Our TILO failed to contact and ask any clarifying questions. Ultimately two irrelevant studies from 1961 and 1978 we given as a reason to pass. Frustrating but we will simplify and resubmit a UP to DARPA. IPRO’s Ammunition Technical evolutions will be handled by A.R. Salter-Arnott after his recent promotion by Carlton Frisch. To contact IPRO Concepts click here.